Social workers are catalysts for sustainable change in complex situations. World Social Work Day always makes us think about global challenges. It raises questions, such as how is social work making a difference worldwide; what are the key issues; and how do social workers operate in different communities, contexts and environments? Social workers learn from each other in terms of promoting community and environmental sustainability and by working with others to put in place the building blocks of change. The Tri-City Partnership between social workers in Birmingham, Hamburg and Chicago is a case in point. With the University of Birmingham, groups of social workers visit different cities and learn about working with and in different communities. In Chicago, resources are limited, but social workers use their drive, energy and motivation to operate as social entrepreneurs. Social workers bring young Black people together to enable them to survive endemic racism, cope with widespread gun use and prise open opportunities from constraining environments. In Hamburg, social work with refugees and asylum seekers tackles prejudice and opens doors. In Birmingham, innovation teams have been established so that social workers can change how they operate with adults in communities. Hindering procedures are being overhauled and terms such as ‘assessment’ ‘waiting lists’, ‘eligibility’, and ‘allocations’ are being outlawed. Instead, emphasis is placed on meaningful conversations with individuals, families and communities, who are seen as the experts of their own lives and social situations. This change of practice focuses on facilitation, flexibility, using small amounts of money to avert and address crises and moving away from a reliance on service orientated ‘solutions’. Social workers have to know about neighbourhoods and communities, in order to work collaboratively to initiate and support sustainable community enterprise and social environments. In the United Kingdom, procedural approaches which prioritise risk adverse ways of working are being questioned and social work is becoming more imaginative and much more closely aligned with what people feel will make a positive difference to their lives and environments. Internationally, social work is at the forefront of sustainable development, focusing on clean water schemes, maintainable and viable local health initiatives, and an emphasis on micro enterprise to help alleviate poverty. Further work looks at developing ways of working with young girls and women to continue to address pervasive inequality and discrimination. Social work globally is on the move and World Social Work Day provides social workers with the opportunity to reflect on why they came into the profession, what they want to achieve and how to set about doing this. Social workers are catalysts for sustainable change in complex situations. 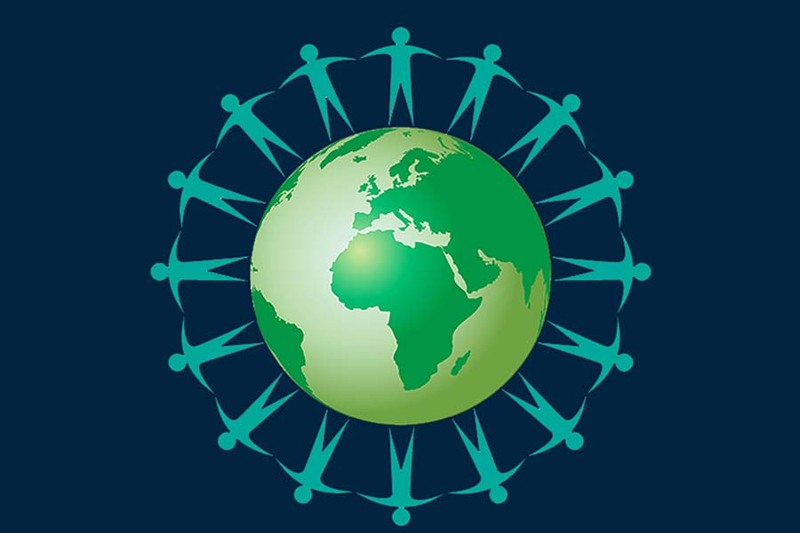 As a result social work has a major role to play, nationally, cross nationally and internationally in promoting community and environmental action and sustainable ways forward. The Erasmus programme was developed partly to provide an international experience which would encourage the development of open-minded, well-qualified students and academics who, as a result of their international collaborations, would be in a position to make a greater contribution to their professions and to the wider society. The programme takes a partnership approach which leads the way for meaningful conversations with individuals, families and communities, and models the value of recognising expertise through experience. This week, social work academics Dawn River and Dr Nicki Ward from the University of Birmingham have been delivering teaching to a mixed group of Birmingham and Nuremburg social work students. The teaching has been developed and delivered in partnership with Dan Cosgrave, a service user contributor. As part of the programme, Dan has been drawing upon his own experiences of living with autism. Dan has been able to offer an important insight into the services that he and his family received and has challenged and inspired students to think about how they may work in more progressive ways. Sessions have also focused on the importance of international partnerships and their relevance to social work. We recognise that we have much to learn from each other; from the UK we can model and share our commitment to co-production and partnership working, and in turn we are inspired by the commitment of our European partners to human rights and social justice as part of the social work agenda. Whilst in Germany, our students took part in a session by Martina Mittenhuber, Head of the Nuremburg Office of Human Rights, and Michael Helmbrecht, a social work academic and political activist. They completed a tour of the National Socialist German Workers’ Party rally grounds and Dokumentation Zentrum. This was followed by a discussion with Professor Erika von Rautenfeld, where they reflected on how to work to combat extreme right-wing populism and bring together diverse communities. In the UK, Maureen Smojkis and Dr Surinder Guru hosted Professor Fuszara and Dr Thomasz Kazmierczak from the University of Warsaw. Together, they used the opportunity of World Social Work Day to talk with University of Birmingham students about the social work taking place in Poland and around the world. We are proud of our commitment at the University of Birmingham to international collaboration. We are also proud of our commitment as a profession to human rights and social justice. Most importantly however, we are proud of the commitment our students have to upholding these principles in their professional practice. Next Next post: Happiness: What Does this Mean in Education?